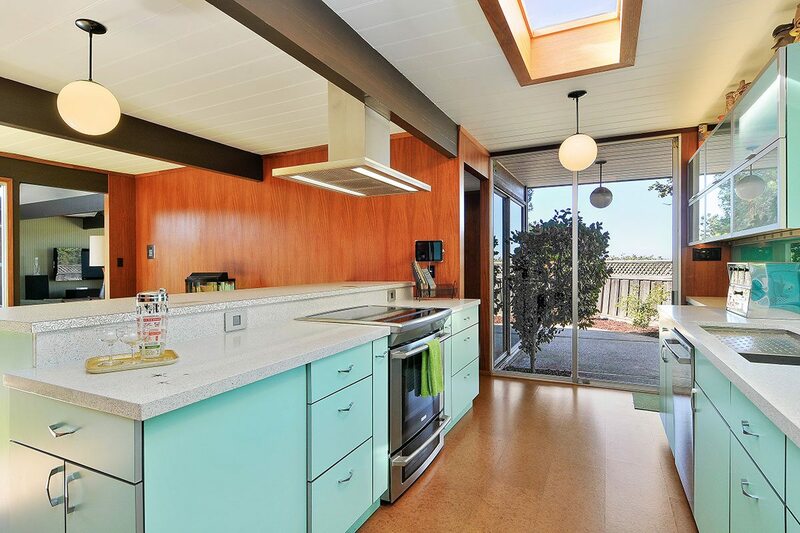 The owners of this mid-century, modern home were determined their Eichler kitchen remodel respect the integrity of the home’s period and style. Although several obvious color choices were available for the galley kitchen, the period’s notable use of aqua was selected for their custom cabinetry. The base cabinets are an acrylic laminate with chevron-shaped, custom hardware. 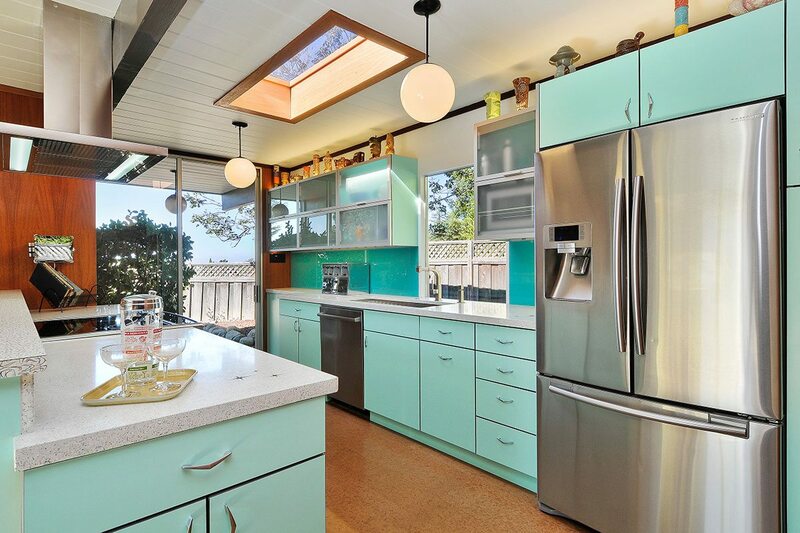 The wall cabinets are double-hinged, uplifting, glass doors with a brushed stainless frame. 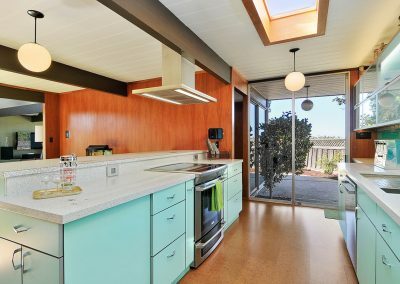 The couple initially considered Formica for their countertops, but were introduced to a variety of more recent introductions of man-made materials better suited for their kitchen design. Custom concrete with a pebble pattern was selected for its beauty, and more important, its flexibility for customization. Since concrete countertops are made locally, the clients were able to add personal touches to their countertop at the time the mold was poured. With a household of avid Trekkies, a Star Trek transponder was pressed into the wet mold along with a subtle sprinkling of pink and aqua glitter. 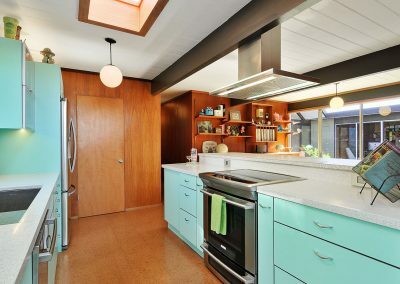 Linoleum floors were replaced with natural cork, an earth-friendly and sustainable alternative. The original wall panels of Mahogany were restored.